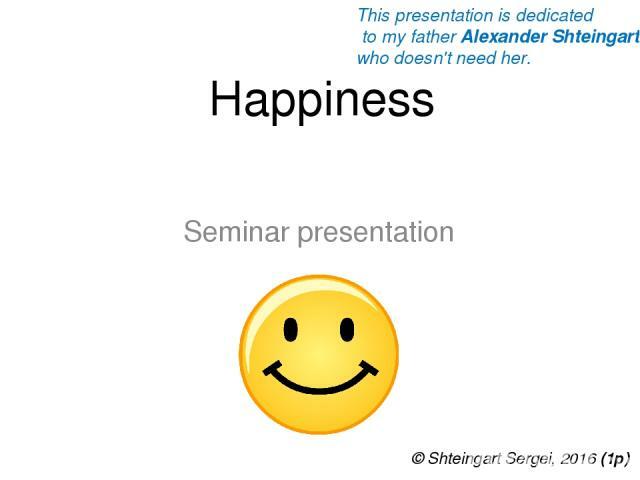 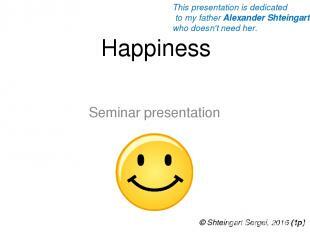 Happiness Seminar presentation © Shteingart Sergei, 2016 (1р) This presentation is dedicated to my father Alexander Shteingart who doesn't need her. 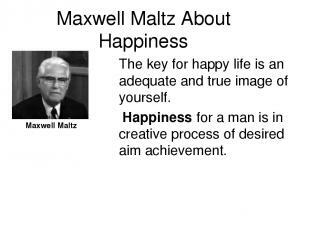 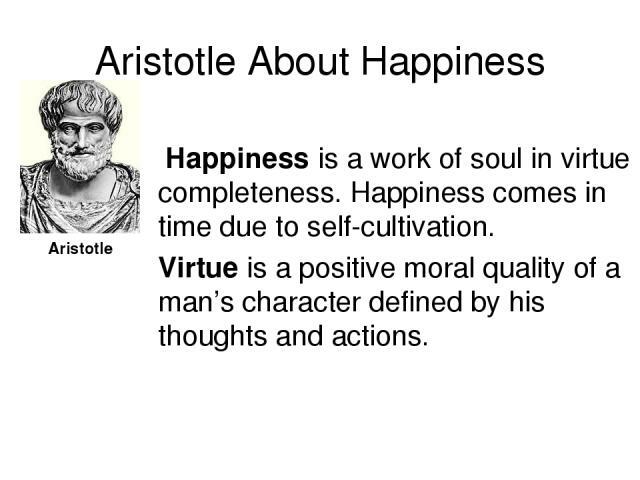 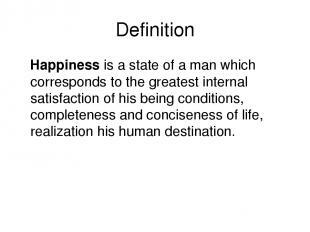 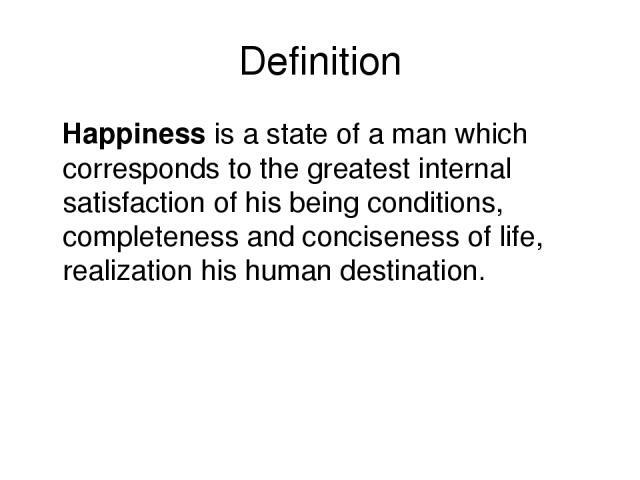 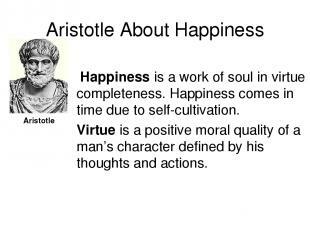 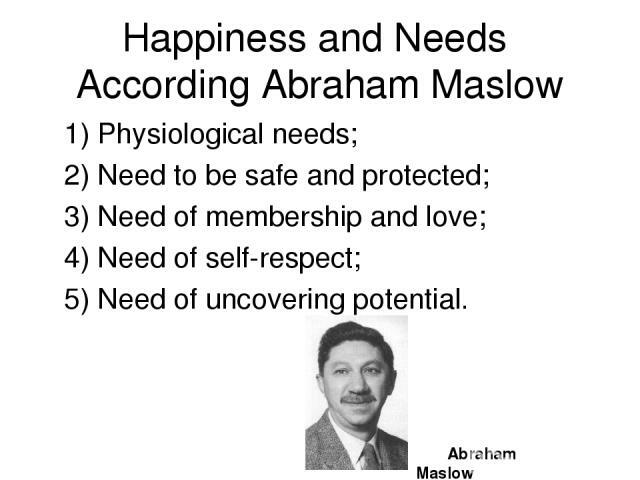 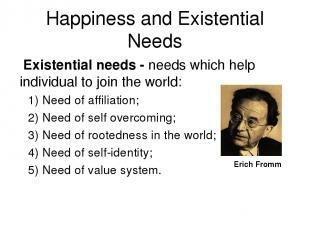 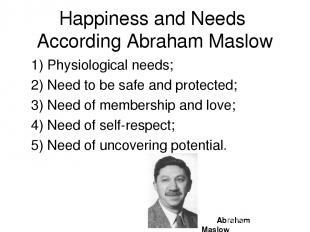 Definition Happiness is a state of a man which corresponds to the greatest internal satisfaction of his being conditions, completeness and conciseness of life, realization his human destination. 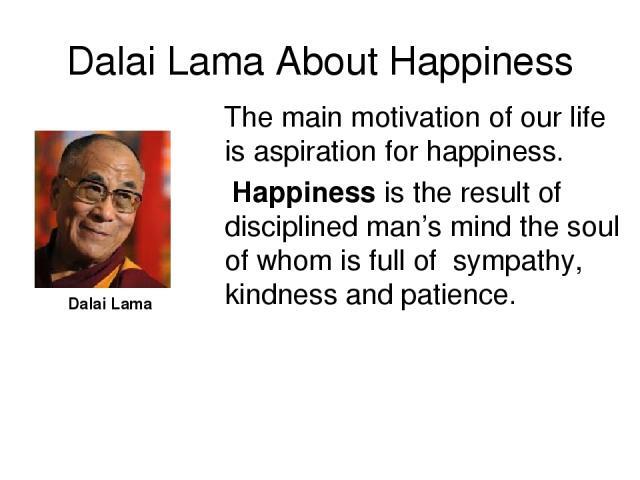 Dalai Lama About Happiness Dalai Lama The main motivation of our life is aspiration for happiness. 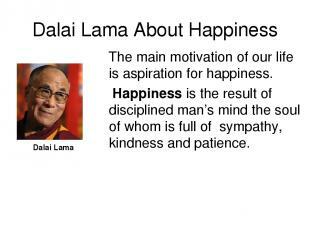 Happiness is the result of disciplined man’s mind the soul of whom is full of sympathy, kindness and patience. 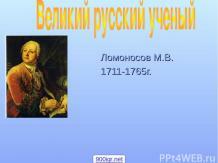 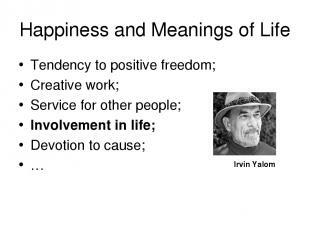 Razmik Aydinyan About Happiness Razmik Aydinyan Happiness – satisfaction due to possession of benefits. 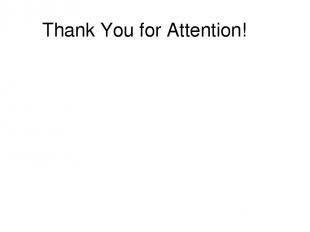 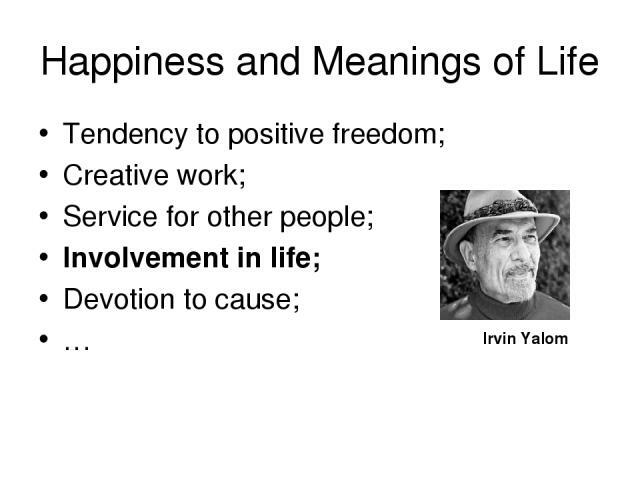 Benefit – something that can satisfy people’s everyday vital requirements, be of people’s use, give pleasure. 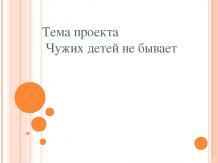 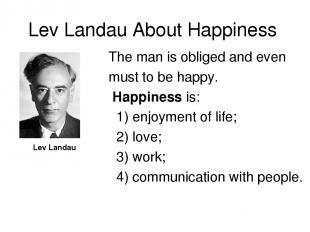 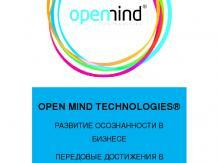 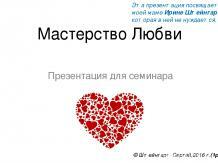 Lev Landau About Happiness Lev Landau The man is obliged and even must to be happy. 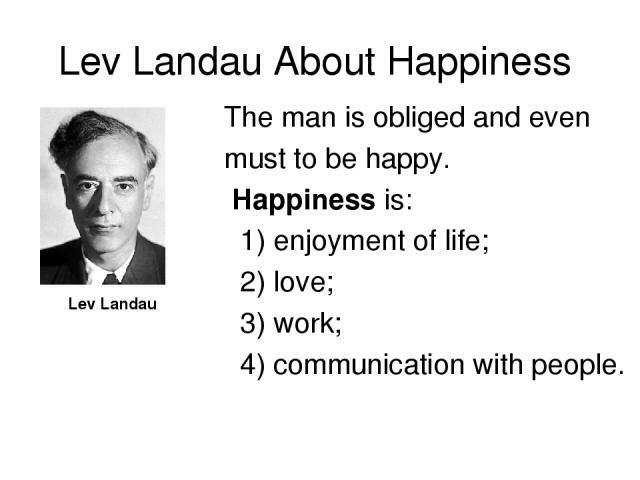 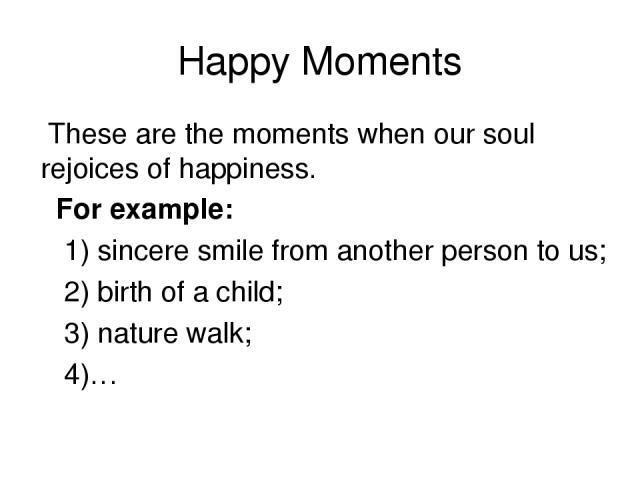 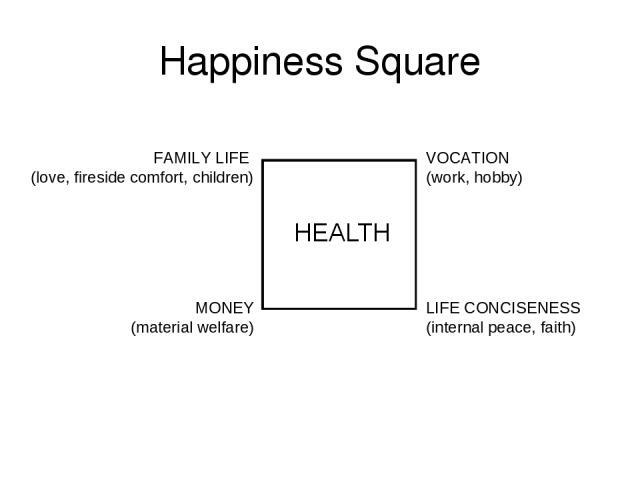 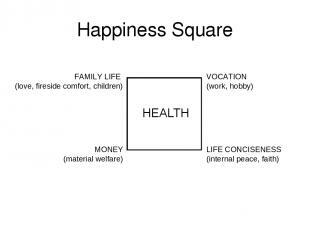 Happiness is: 1) enjoyment of life; 2) love; 3) work; 4) communication with people. 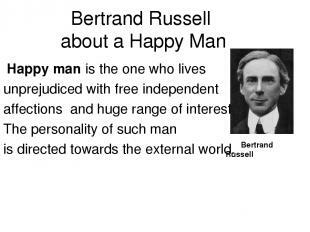 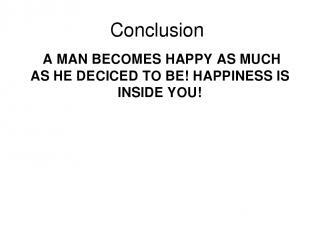 Conclusion A MAN BECOMES HAPPY AS MUCH AS HE DECICED TO BE! 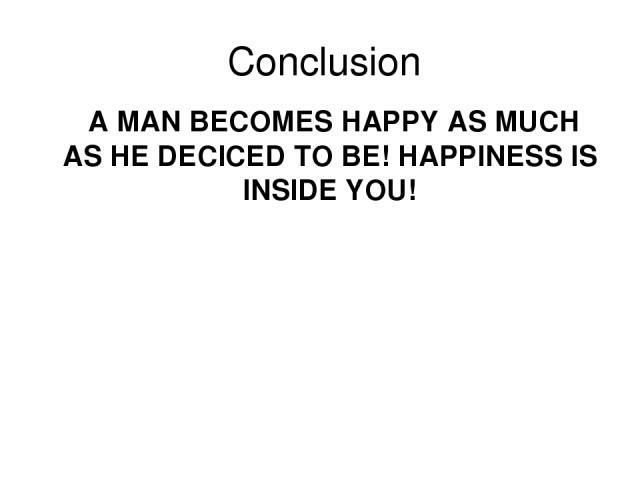 HAPPINESS IS INSIDE YOU! 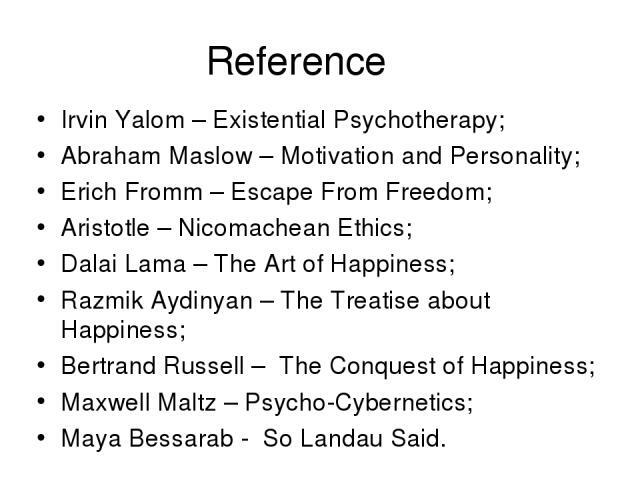 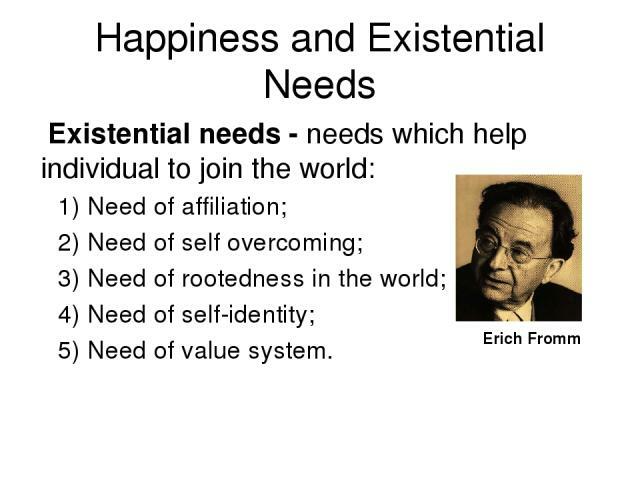 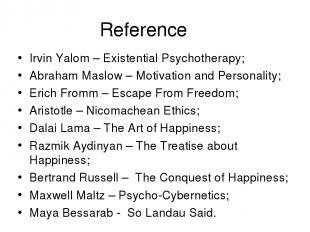 Reference Irvin Yalom – Existential Psychotherapy; Abraham Maslow – Motivation and Personality; Erich Fromm – Escape From Freedom; Aristotle – Nicomachean Ethics; Dalai Lama – The Art of Happiness; Razmik Aydinyan – The Treatise about Happiness; Bertrand Russell – The Conquest of Happiness; Maxwell Maltz – Psycho-Cybernetics; Maya Bessarab - So Landau Said.